Ranked among the ﻿Top Taxidermy Schools in the US! Area Wildlife often provide up close and personal reference opportunities. Accommodations’ are Clean and Modern with spacious Rooms. Lodging and Meals [Click here] are Included in your enrollment cost. Whether you are a beginner or needing to fine tune some areas, the Custom Hands on Training is catered to fit each individual's ability and learning goals. 2 to 28 days of training is Available [Click here]. Learn what it takes to recreate animals as they naturally occur. We do not specialize in any one aspect of taxidermy. When you attend Artistic School of Taxidermy I will teach you what it takes to produce a stellar piece...whether it be a turkey in flight, a preening wood duck, a life-size javelina eating on a prickly pear, a mule deer pedestal mount on a golden aspen tree or a life-size black bear looking for its next meal. Taxidermy Training Dates are Flexible to fit with your time schedule. You reserve dates that work for you. You choose what it is that you would like to learn. Develop more Efficient and profitable Production Methods by learning Specialized Techniques. Learn what it takes to produce mounts that will Better Your Competition and allow you to Elevate Your Prices. We make every attempt to provide you with the personalized attention you will need to succeed! Many of my students have gone on to excel in State and National Competitions throughout the United States in the mammal, game head and bird categories. All students enrolled in 5 or more days will also learn how to develop a Working Business Plan to assist in your entrepreneurial endeavor. Complete Breakthrough [click here] Library for your reading enjoyment. 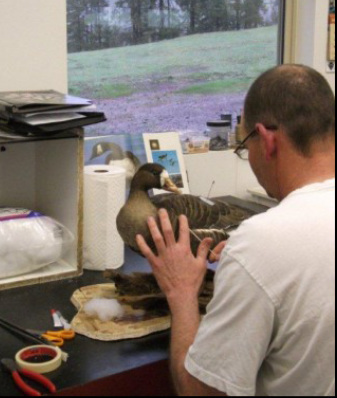 If you're looking to maximize your taxidermy training needs, Look no further...contact us today!